After 5 long years of arduous writing, I have finally wrapped up the "cookbook" and it is now available for purchase. So, what is the cookbook all about? In a nutshell, it is a blueprint I have developed to design my award winning HVAC systems and replacements. It focuses on my personal approach to selling, marketing ,and above all- designing quality home comfort systems that provide world class results. 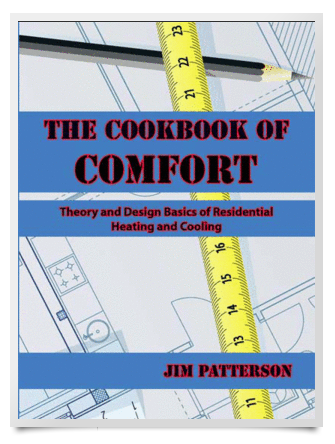 I have written this educational journal to assist the homeowner, builder,, architect , and HVAC professional get from point A to completion! You won't be disappointed. everything I use to sell and design my trademark HVAC systems!